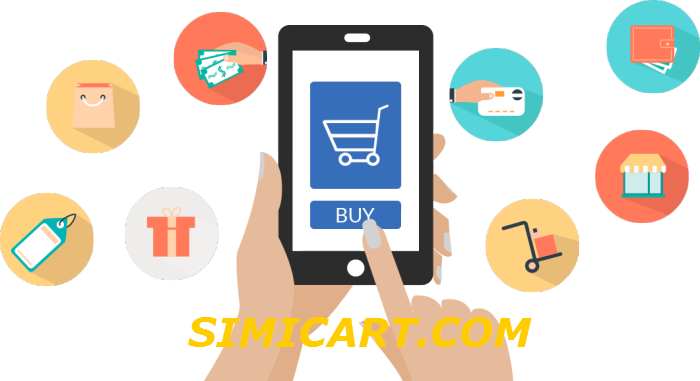 M-Commerce is a part of E-commerce which allows people to do the transaction through mobile devices. There are already several existing M-Commerce applications and services nowadays that bring many M-commerce advantages to us. Use Magento mobile shopping apps to improve your sales! In the current commerce industry, M-Commerce has been entered in finance, services, retails, tele-communication and information technology services. Convenience: With just a few clicks on mobile devices, customers can already do shopping, banking, download media files...and more than that. M-commerce also benefits retailers by many of their outstanding features compared with responsive website and mobile site. Flexible Accessibility: User can be accessible via mobile devices and at the same time be accessible online too through logging on to various mobile messengers and other networking platforms. On the other hand, the user may also choose not to be accessible by shutting down his mobile device, which at times can be a good thing. Easy Connectivity: As long as the network signal is available, mobile devices can connect and do commerce transactions not only mobile to mobile but also mobile to other devices. No need for modem or WI-FI connectivity set up. Personalization: Each mobile device is usually dedicated to a specific user so that it is personal. Users can do whatever they want with their handheld devices: modify the wallpaper, change view settings or modify contact information as you send emails or e-payments. Time Efficient: Doing M-Commerce transactions do not require the users to plug anything like personal computer or wait for the laptop to load. In the context of economic difficulties, eCommerce solution with smartphones and software applications plays an important role in retail market, creating close relationship between consumers, retailers and brand merchandise through features, to get the success in both earning high profit and providing great mobile shopping experience. As a result, Investments in mobile platforms for B2C transactions are defined as strategic investment direction in the future, as indicated in the proportion of investment in mobile platforms accounted for 68% of the investing in research and new technology platforms. 19% of people surveyed knew about the payment services on mobile, 10% expressed interest to learn and to use mobile payment services. By applying necessary plugins, payment can be transferred easier and more secure than ever. Due to the fast development, this type of commerce also supports almost all popular payment method for customers to pay bills electronically, purchase prepaid cards as mobile phone cards to solve transactions complex. Besides retail, digital content is a rich resource that firms can use with mobile commerce. By strengthening the convenience function of mobile devices, sellers can sell the content and buyers can use anytime they want. Users pay directly for each digital content or registered users to use the service online digital content. It can't be denied that Mobile Commerce is the very rapidly growing field in today's scenario because of unique characteristics and the outstanding advantages of M-Commerce. There are all kind of treads such as business-to-consumer, business-to- business and consumer-to-consumer in M-commerce. Although it shares security concerns with other technologies in the same field, M-Commerce concept has changed the way of doing business in this modern world and several major advantages of M-Commerce are clear to consumers.